Aftermath – something that results or follows from an event, especially one of a disastrous or unfortunate nature; consequence, especially of a disaster or misfortune; the period immediately following a usually ruinous event; a second growth of grass, springing back after the first is mown; new grass growing after mowing or harvest. Gravedodger and Teletext get my thanks for posing yesterday’s questions. Should they have stumped us all they can claim a virtual round of Whitestone Windsor Blue cheese by leaving the answers below. Is the gene editing revolution passing New Zealand by? New Zealand is a proudly GE-free country, meaning it is illegal to produce or sell genetically engineered foods here. There are some exclusions for processed foods that have imported GE ingredients, like soy or corn flour, but they must be approved by a local authority and clearly labelled. However, there is zero tolerance for GE in fresh foods – including foods bound for export. Considering that New Zealand’s “clean green” brand is a key part of our export trade, it makes sense that GE foods are treated with caution here. But are we being too conservative, given that a new technology called CRISPR is opening up opportunities for both our economy and our environment. CRISPR (pronounced crisper) has made gene editing nearly as simple as editing a website. Tools like CRISPR-Cas9 allow scientists to edit parts of a genome by removing, adding or altering sections of its DNA sequence. It is truly a brave new world. . . Objective carcase management (OCM) appears to be the holy grail for Meat and Livestock Australia judging by its plan to seek A$150 million from the Australian government to fund the installation of Dual Energy X-ray 3D carcase grading technology (DEXA) in up to 90 slaughterhouses, intended to roll out this year. The loan would be repaid from industry levies, although there are no firm details yet about how the costs would be shared. When MLA announced Project 150 in November 2016, the Beef and Sheep Councils of Australia were both in favour, but the executive officer of the Australian Beef Association came out saying it shouldn’t be the producers but the processors who paid for it. More recently both the processor funded Australian Meat Industry Council (AMIC) and levy funded Meat Processor Corporation (AMPC) have come out against rushing into such an expensive project without proper analysis and a robust business case. . . I saw that Fish & Game held a national “take a kid out fishing day” a few weeks ago. While I applaud anyone who can encourage our children to ditch the video games and get outside to experience the great outdoors, it did raise several questions. Why, for example, are we trying so hard to improve the health of our fresh waterways when the likes of Fish & Game are paid to protect invasive, predatory species such as trout and salmon, which actively decimate our native species such as koura (New Zealand freshwater cray)? When sediment is such a major component of our water degradation, why is it that koi carp can pillage our river systems, collapsing river banks and stirring up soil, and yet this problem has been largely ignored by the organisation. It is discouraging when farmers work hard at establishing wetlands and native groves only to have them poisoned in a few short years by wildfowl E. coli. . .
Fiona Gower is a true “Rural Woman” having lived and worked in the rural sector most of her life. As the new president of Rural Women New Zealand (RWNZ), she has set herself several goals to accomplish during her term. Her greatest aspiration is for RWNZ to be seen as the organisation of choice within the wider sector for all women, communities, organisations and decision makers. . .
Primary Industries Minister Nathan Guy says activities to prevent the establishment of the Brown Marmorated Stink Bug (BMSB) have ramped up over summer and helped raise public awareness of what is a serious biosecurity threat. “This is a major agricultural pest worldwide, as well as a household nuisance. While it is found here from time to time, if it became established it would have significant economic and social impacts,” says Mr Guy. “BMSB has been rapidly spreading across the world and there have been increasingly more finds detected at the New Zealand border. Three confirmed post border finds occurred during February, all reported by members of the public. . .
A senior Rabobank economist says the Australian beef industry should continue to focus on differentiating its products as Brazil expands its markets in Asia. Brazil took over from Australia as the largest exporter of beef to China in 2016, offering a cheaper protein, and has strong interest in South Korea and re-opening trade with Japan. Japan suspended Brazilian beef imports in 2012 after it was found an animal had died of mad cow disease. Indonesia has also been expressing interest for some years in opening up a live cattle trade with Brazil, with biosecurity protocols currently being discussed. . .
A market that’s as open as possible is the precondition for a successful economy, and a successful economy is the precondition to being able to pay for social security. Gerhard Schroder who celebrates his 73rd birthday today. 451 – Attila the Hun sacked the town of Metz and attacked other cities in Gaul. 529 First draft of Corpus Juris Civilis (a fundamental work in jurisprudence) was issued by Eastern Roman Emperor Justinian I. 1348 Charles University was founded in Prague. 1506 Saint Francis Xavier, Spanish co-founder of the Society of Jesus, was born (d. 1552). 1521 Ferdinand Magellan arrived at Cebu. 1541 Francis Xavier left Lisbon on a mission to the Portuguese East Indies. 1718 Hugh Blair, Scottish preacher and man of letters, was born (d. 1800). 1770 William Wordsworth, English poet, was born (d. 1850). 1776 Captain John Barry and the USS Lexington captured the Edward. 1788 – American Pioneers to the Northwest Territory arrived at the confluence of the Ohio and Muskingum rivers, establishing Marietta, Ohioas the first permanent American settlement of the new United States in the Northwest Territory, and opening the westward expansion of the new country. 1795 France adopted the metre as the basic measure of length. 1803 Flora Tristan, French feminist and socialist philosopher, was born (d. 1844). 1827 John Walker, an English chemist, sold the first friction match that he had invented the previous year. 1856 New Zealand’s first state secondary school, Nelson College, opened. 1860 Will Keith Kellogg, American cereal manufacturer, was born (d. 1951). 1862 American Civil War: Battle of Shiloh ended – the Union Army under General Ulysses S. Grant defeated the Confederates. 1868 Thomas D’Arcy McGee, one of the Canadian Fathers of Confederation was assassinated. 1890 Completion of the first Lake Biwa Canal. 1908 Percy Faith, Canadian composer and musician, was born (d. 1976). 1906 Mount Vesuvius erupted and devastated Naples. 1906 – The Algeciras Conference gave France and Spain control over Morocco. 1908 H. H. Asquith of the Liberal Party took office as Prime Minister of the United Kingdom. 1915 Billie Holiday, American singer, was born (d. 1959). 1922 Teapot Dome scandal: United States Secretary of the Interior leased Teapot Dome petroleum reserves in Wyoming. 1927 First distance public television broadcast (from Washington, D.C. to New York City, displaying the image of Commerce Secretary Herbert Hoover). 1933 Prohibition in the United States was repealed for beer of no more than 3.2% alcohol by weight, eight months before the ratification of the XXI amendment. 1934 Ian Richardson, Scottish actor, was born (d. 2007). 1938 Spencer Dryden, American drummer (Jefferson Airplane), was born (d. 2005). 1939 World War II: Italy invaded Albania. 1939 Francis Ford Coppola, American film director, was born. 1939 Sir David Frost, English broadcaster and TV host, was born. 1940 Booker T. Washington became the first African American to be depicted on a United States postage stamp. 1941 Gorden Kaye, British actor, was born (d. 2017). 1943 The Holocaust: Germans ordered 1,100 Jews to undress to their underwear and march through the city of Terebovlia to the nearby village of Plebanivka where they were shot dead and buried in ditches. 1944 Gerhard Schröder, former Chancellor of Germany, was born. 1945 World War II: The Japanese battleship Yamato, the largest battleship ever constructed, was sunk 200 miles north of Okinawa while en-route to a suicide mission in Operation Ten-Go. 1945 – World War II: Visoko was liberated by the 7th, 9th and 17th Krajina brigades from the Tenth division of Yugoslav Partisan forces. 1946 Syria‘s independence from France was officially recognised. 1948 The World Health Organisation was established by the United Nations. 1948 A Buddhist monastery burned in Shanghai, leaving twenty monks dead. 1951 Janis Ian, American singer and songwriter, was born. 1954 U.S. President Dwight D. Eisenhower gave his “domino theory” speech during a news conference. 1954 Jackie Chan, Chinese actor, director, producer, and martial artist., was born. 1956 Spain relinquished its protectorate in Morocco. 1963 Yugoslavia was proclaimed to be a Socialist republic and Josip Broz Tito was named President for life. 1964 IBM announced the System/360. 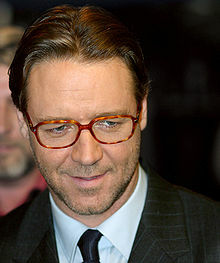 1964 Russell Crowe, New Zealand actor, was born. 1969 The Internet’s symbolic birth date: publication of RFC 1. 1971 U.S. President Richard Nixon announced his decision to increase the rate of American troop withdrawals from Vietnam. 1977 German Federal Prosecutor Siegfried Buback and his driver were shot by two Red Army Faction members while waiting at a red light. 1978 Development of the neutron bomb was canceled by U.S. President Jimmy Carter. 1983 During STS-6, astronauts Story Musgrave and Don Petersonperformed the first space shuttle spacewalk. 1985 Soviet leader Mikhail Gorbachev declared a moratorium on the deployment of middle-range missiles in Europe. 1989 Soviet submarine Komsomolets sank in the Barents Sea killing 42 sailors. 1990 John Poindexter was found guilty of five charges for his part in the Iran Contra Affair (the conviction was later reversed on appeal). 1992 Republika Srpska announced its independence. 1994 Massacres of Tutsis begin in Kigali, Rwanda. 1999 The World Trade Organisation ruled in favour of the United States in its long-running trade dispute with the European Union over bananas. 2001 Mars Odyssey was launched. 2003 U.S. troops captured Baghdad. 2009 Former Peruvian President Alberto Fujimori was sentenced to 25 years in prison for ordering killings and kidnappings by security forces. 2009 – Mass protests began across Moldova under the belief that results from the parliamentary election are fraudulent. You are currently browsing the Homepaddock blog archives for the day Friday, April 7th, 2017.